“All you need is lovvveeeee”, as The Beatles famously sang! 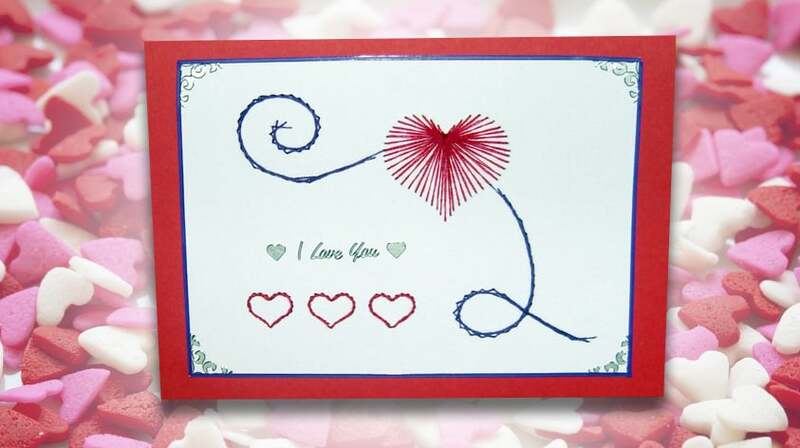 Celebrate this Valentine’s Day by hand stitching this super-cute love heart handmade card for your loved one. Card stitching, also known as paper embroidery, is a wonderfully relaxing card making technique. It can take a fair bit of time to complete all of the paper stitching, but it’s easy to do and great for keeping yours hands busy when you’re sat watching the television. 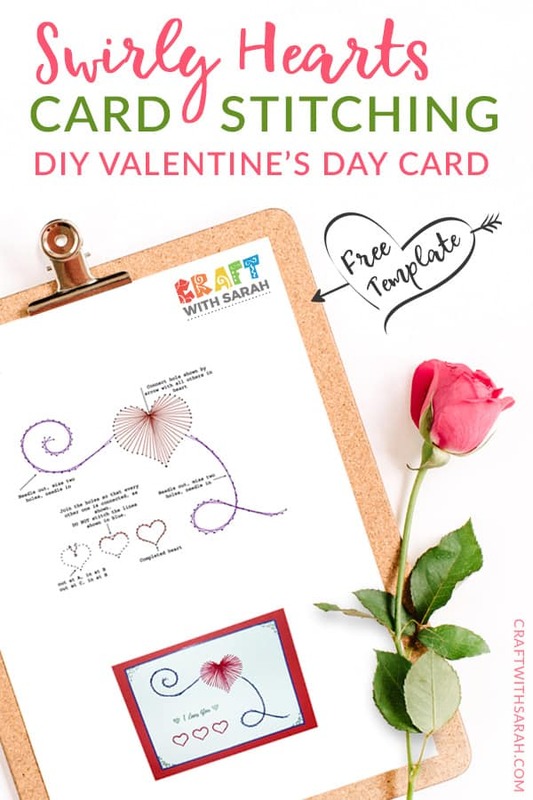 Simply follow along with the free pattern and then attach your completed stitching to a red card blank and add an “I Love You” peel-off sticker for the ultimate DIY Valentine’s Day card. Your partner will truly appreciate the time and effort you put into making this Valentine’s Day card. 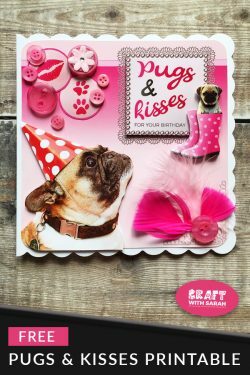 In fact, this isn’t just a card – it’s a lovingly made piece of art! 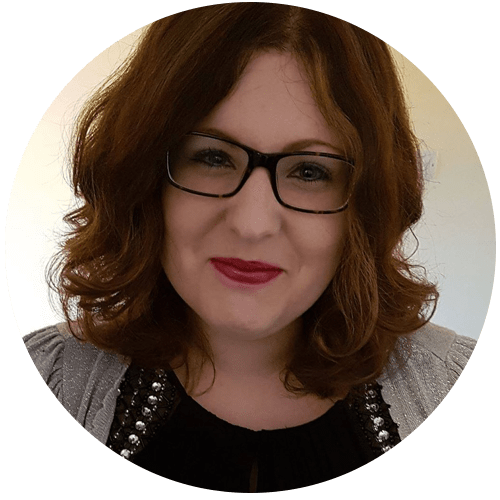 Note: Some of the links included in this article are affiliate links, which means that if you click through and make a purchase I may receive a commission (at no additional cost to you). If you’re new to paper embroidery then check out these step-by-step card stitching instructions to find out how to turn the printable pattern into a finished card. I made my card in deep red and purple, but you could easily change the colours. How about pastel pink and lilace for a more ‘cute’ romantic feel? You could even be more adventurous and use rainbow thread on the heart to stitch a multicoloured heart for a truly colourful card! 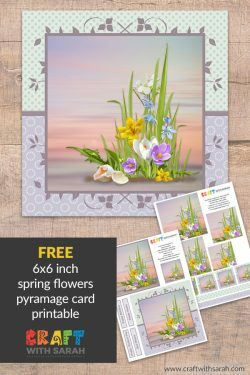 You may sell handmade cards and crafts that you create using this pattern, but you must not sell the pattern itself. 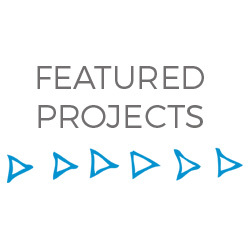 You may not digitally alter or redistribute the pattern without explicit written consent from Sarah Edwards at Craft With Sarah. 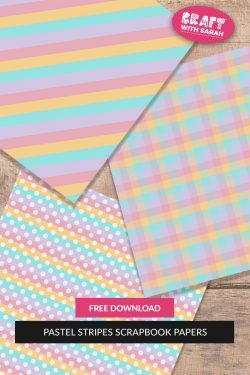 If you want to share this pattern with anyone, please direct them to this page so that they can download them – do not send them the pattern file directly. I’d love to see your finished creations so please share them with me on Facebook! 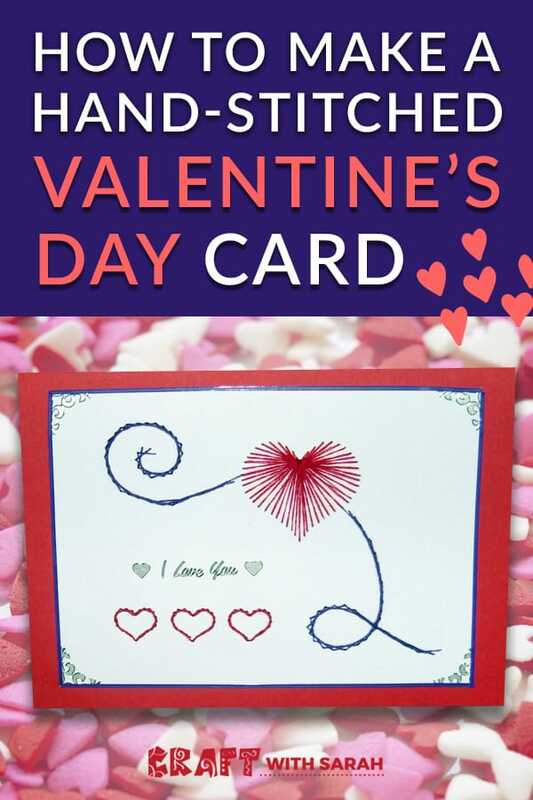 Please take a second to share "DIY Valentine’s Day Card Stitching" on Pinterest.